Johannes Cardinal Willebrands would have celebrated his 100th birthday this fall, and Rome honored this great ecumenist, bishop, and Council father with a day-long Colloquium hosted by the Pontifical Gregorian University. 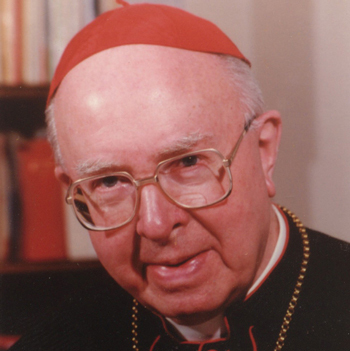 Cardinal Willebrands was bishop of Utrecht in his native Netherlands, and served for twenty years as the second president of the Pontifical Council for Promoting Christian Unity, from 1969-1989, succeeding Cardinal Agustin Bea with whom he had worked closely during the Council. Unfortunately, the Holy Father’s general audience for the students of the Roman universities was scheduled during the morning, so several students opted for that instead, but the ecumenical section of the Angelicum was here almost in full! While the morning helped paint a vivid picture of the life and many contributions of Willebrands to the Catholic Church and its commitment to ecumenism, the afternoon focused as much on the current and future situations, and made several references to Cardinal Kasper’s new book, Harvesting the Fruits: Basic Aspects of Christian Faith in Ecumenical Dialogue. When some people lament the apparent ‘slowing’ of ecumenical progress in the last twenty years, as compared to the previous thirty, the golden age remembered is the period in which Willebrands was either President or Secretary of the Council for Promoting Christian Unity (named the Secretariat for Christian Unity when first established). Before the Council, when Catholics could not attend ecumenical meetings or participate in ecumenical prayer, Willebrands and others would faithfully observe the letter of the law, then accept invitations to tea with a group of sisters who would also, coincidentally, invite the members of whatever commission or meeting was going on in ecumenical circles. In this way early Catholic contributions were not lost to the ecumenical conversations, and the beginnings of a network of friendships was being developed. It was a way of being “obedient to the Church, and more obedient to the will of Christ”. Willebrands established a “Catholic Conference for Ecumenical Questions” in 1951, to discuss Catholic issues ‘in response to’ some ecumenical initiatives. This was done while maintaining open contact with Cardinal Ottaviani in the Holy Office (the Congregation for the Doctrine of the Faith). He was instrumental in arranging the meeting between Pope Paul VI and Patriarch Athenagoras in which the mutual excommunications of 1054 were renounced. He helped establish the Joint Working Group of the World Council of Churches and the Pontifical Council for Promoting Christian Unity, and was the primary point of contact between the WCC and the Catholic Church for decades. During the Council, Willebrands was able to use the previous decade of personal relationships to draw up a list of ecumenical observers to be invited, and was their host throughout the Council. These observers and staff of the secretariat would meet weekly at the Centro Pro Unione on Thursdays, to get a debriefing of the week’s interventions (which were in Latin) in English and other more common languages. Often there would be a presentation by one or more of the peritii of the council. As the bishops themselves heard about these gatherings more and more would attend, at the least to hear in an understandable language what had been discussed in front of them the week previous! Near retirement, Willebrands noted that the best ecumenists have been theologians, but also that “ecumenism is first a way of being Christian, before it is a theological or pastoral competence.” He published, in 1987, an article titled “Subsistit in”, Vatican’s Ecclesiology of Communion, which is one of the most authoritative interpretations of the nature of the church in Lumen Gentium 8, along with the work of Joseph Ratzinger and Walter Kasper. One of the last reflections he gave in Rome before retiring to the Netherlands was at the invitation of the Lay Centre at Foyer Unitas, and delivered in the Centro Pro Unione, “Why I Am a Man of Hope” – a summation of all his experience and why he maintained hope for the future of the Church and ecumenism. By A.J. 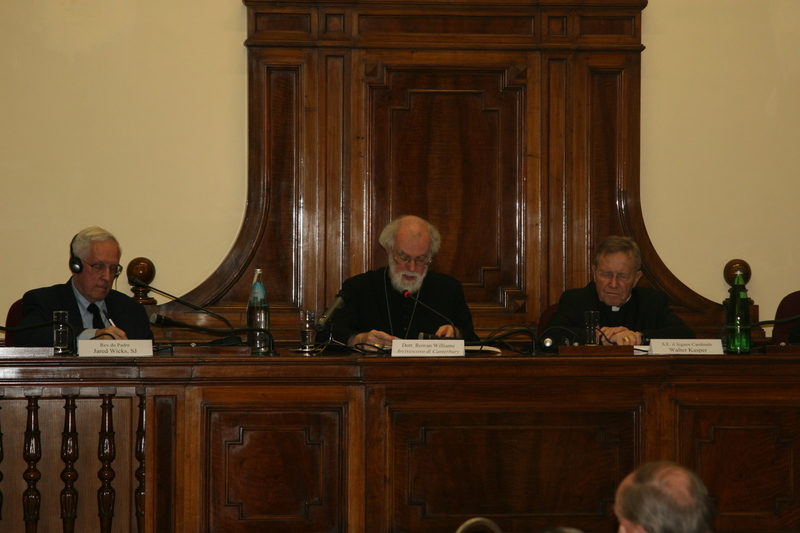 Boyd in La vita Roma, Theology and Ecumenism on November 19, 2009 .